Sam, E and R's Awesomness! 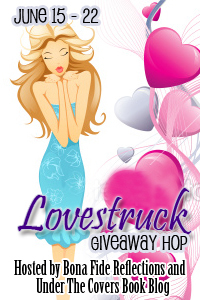 : Love Struck Giveaway Hop! Many Thanks goes out to both: Bona Fide Reflections and Under The Covers Book Blog for hosting this giveaway hop. The Hop Begins June 15th and ends June 22nd. A winner will be selected from the rafflecopter down below on June 23rd. Thanks for stopping by and don't forget to checkout out the others bloggers who've participated in the hop. a Rafflecopter giveaway Don't forget to check out all the blogs who've participated in the hop. Check out the linky below. Great Hop! Just found y'all! Thanks! I love gift cards, they're like christmas and your birthday all rolled up into one. Hi!! Thanks for participating in the hop! Thanks for the giveaway and have fun Hopping! 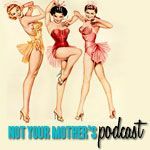 Thanks for taking the time to do this blog hop. I have really enjoyed your blog. Thank you so much for the great giveaway and for participating in the hop. Thanks for being part of the fun blog hop. I love to visit new places on these blog hops! GC giveaways rock, good choice! Thanks for participating in the hop and for the opportunity to win. Awesome giveaway! I know just how to put this to good use :) Thank you so much for the opportunity! Thanks for the chance to win, I'd love to pick up some books off my list! Very much appreciated thank you!! My current lovestruck guy is Terrible! I just can't get enough! Thank you for participating in the hop! Wonderful prize :) Thank you for the giveaway also! Thanks so much for bringing us great posts and books - I've found lots of new ones to me. 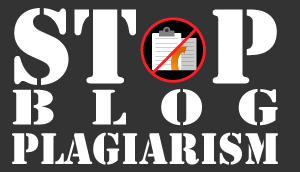 So glad you're participating in the hop and I found your blog! Thanks for participating. I know I'll use some of the $15 for Theory of Attraction after reading Holly's review. Great prizes! Thanks for the giveaway! Thanks for the giveaway. I could really use a GC.